In Elder Scrolls Online there are non-player characters (NPC’s) and interactable items (quest boards), that offer one or more quests every day. Interactable item or NPC’s that offers repeatable quests will have a blue down arrow above them. Some dailies have to be unlocked by completing prerequisite quests or completing certification quests. Most dailies can be shared. Dailies reset at the same time each day. In Murkmire, there are three NPC’s offering daily quests. There are two unlocked daily quests available in Lilmoth. 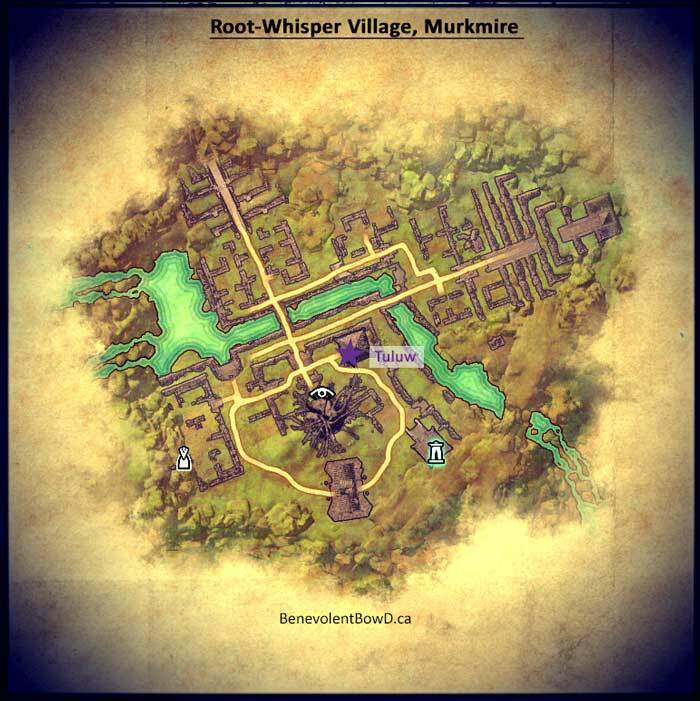 The third set of dailies are unlocked when you complete the main Murkmire quest line and return the residents to Root-Whisper Village. Tip: For more information on the dailies, check out Murkmire: Do you know about the daily quests? 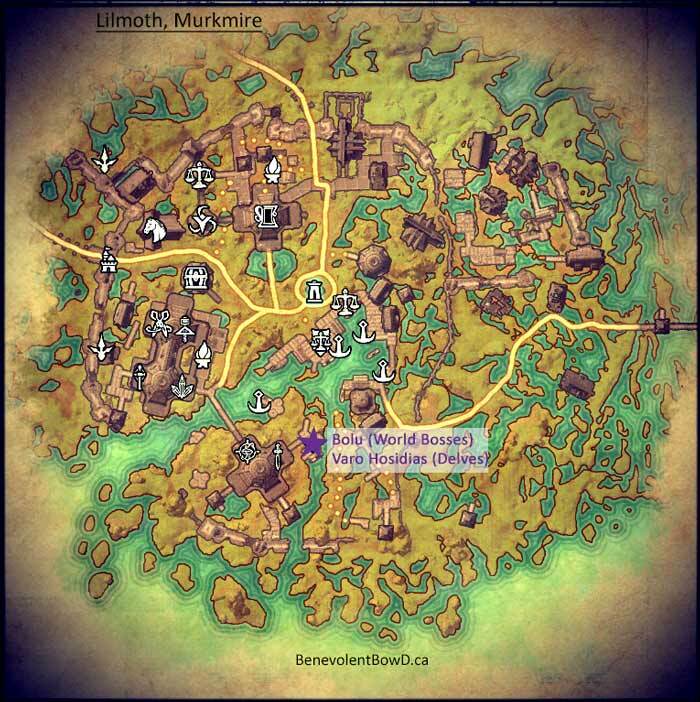 To access the delve and world boss dailies, you need only find the quest givers in Lilmoth on the southeast coast of Murkmire. (Indicated on the map as purple stars). To obtain the Root-Whisper Village quests, you need to first complete the main quest line offered by the Cyrodilic Collections in Lilmoth. Continue obtaining quests until all quests have been obtained at least once. Not the same quest for every character or player.